Sponsored by Duravit USA, Inc.
Identify and recognize the characteristics of high quality, furniture grade fixtures used in bathrooms. 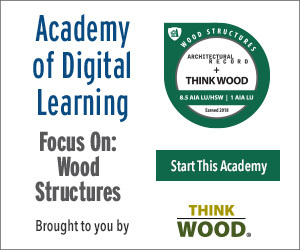 Investigate the material science involved in wood components used in bathroom furniture. Assess the differences in bathroom furniture production types and their suitability for different applications. Specify bathroom furniture appropriate to a variety of settings and formulate appropriate selections related to specific designs. The design of bathroom spaces in buildings of many types has risen to higher levels of attention and quality in recent times. Today, perhaps more than ever, successful bathroom design revolves around the notion of creating a personal “oasis,” or “resort” that provides an escape from the outside world. As an intimate refuge, the bathroom is seen as a natural, secure space that enables one to relax and regain a sense of equilibrium. People travelling to many hotels and spas find such spaces offering a sense of wellness that give guests the opportunity to relax and escape from the stresses of everyday life. This may be fueling the desire in more people who would like these same beneficial and invigorating experiences in the comfort of their own homes. Depending on the wishes and requirements of the bathroom users, features like whirlpool tubs, soaking tubs, steam showers, and saunas are now also available for use in private bathrooms. However, because of their usual space limitations, many guest bathrooms and powder rooms face unavoidable design challenges that can leave them looking cramped or sparsely furnished. Depending on the available space, budget and personal preferences, good quality design can transform even the smallest powder room into a comfortable place to unwind. By contrast, the family bathroom is usually larger but has to meet the needs of all generations. It's the one room in the house where young children can have great fun and later, as teenagers, have notably different needs in the mornings. All of this means that the bathroom's furnishing should meet the highest requirements in terms of durability, practicality and robustness. Of course, while many people may dream of a beautiful bathroom of whatever type, when it comes to actually creating one, they often experience a rude awakening unless guided by the talent and skill of the designer. Among the many decisions and selections to be made, the role of fixtures being elevated to the status of furniture as part of the permanent design features reign high. Furniture treatments elevate the bathroom design as a true part of personal living space. 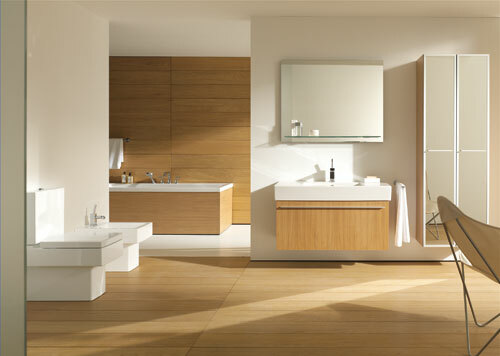 Photo courtesy of Duravit USA, Inc.